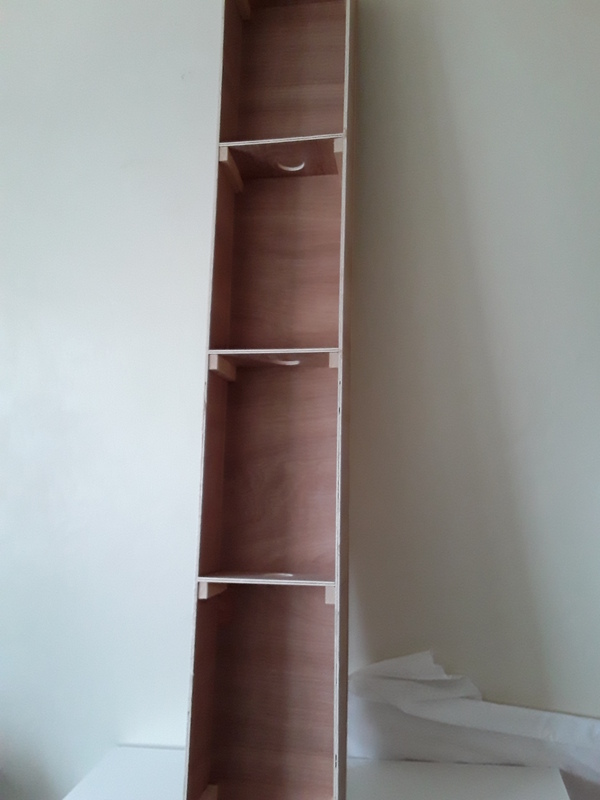 For this build, I am using my tried and tested method of ‘egg box’ construction using 5.5mm ply. 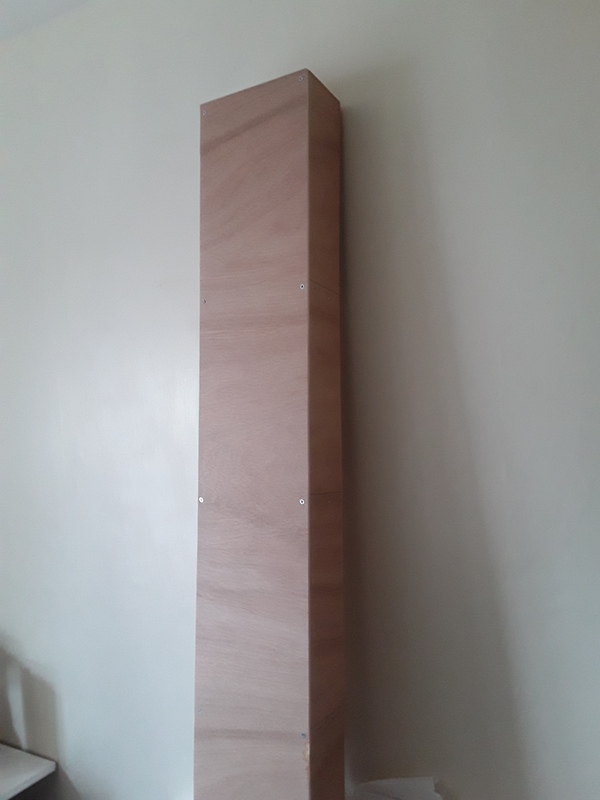 They won’t be true egg boxes, because, as this is an around the room layout, the boards themselves will be quiet narrow with the widest being about 16 inches, so no additional lenghtwise supports are needed, just the front to backs every 12 inches. The sides are made from 10cm (sorry to mix metric and imperial) widths cut from WBP 5.5mm 4ft x 2ft boards. Inch square battening is used at the vertical joints with everything glued and screwed together. Holes have been drilled to allow cabling to be passed through. As with all my baseboards, they only get accepted for use if they can support my weight and I’m pleased to say that the first batch passed with flying colours. I took some pictures as I was building the first boards but now can not find them. Here are couple of snaps showing a constructed board. The boards are being joined by dowels and catches. 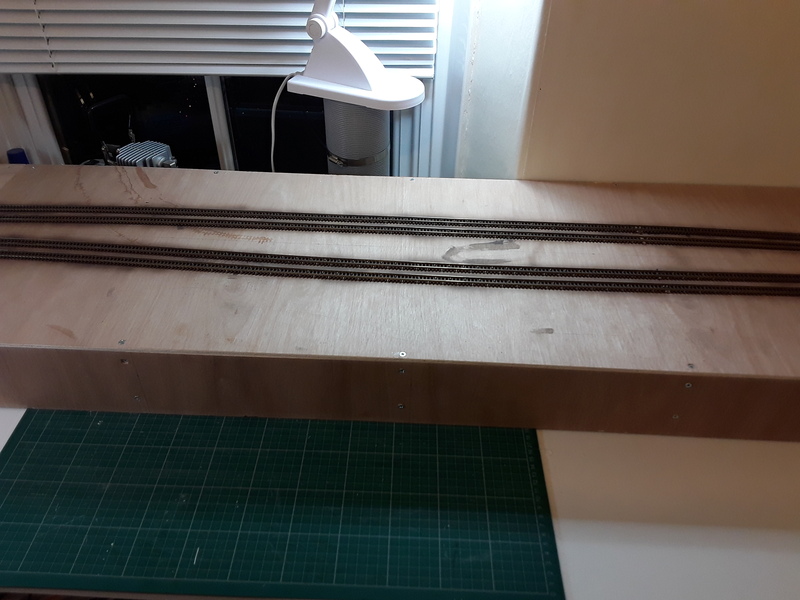 One board each for the station, the north side including the MPD, the west side (which will probably be hinged to allow access and the south side including the carriage sidings. Initially, I was very much into Great Western 1920s and 30s, influenced by my father and a layout we built in my childhood, but the more time I have spent on forums and reading books, the more I have grown to appreciate Southern and post nationalisation steam. A great influence on me was Southernboy’s Frankland. Its suburban feel, Southern stock and superb modelling, plus his excellent posting style really picqued my interest. Then I got a copy of Waterloo Sunset with its footage of 60s steam on the Southwest and West of England mainlines – another big influence. Running wise, I like to see trains passing and am more interested in passengers operations than freight, although some mail, parcel, milk and general goods stock is always welcome. Plus I wanted a decent shed area for displaying some locos awaiting their turn. 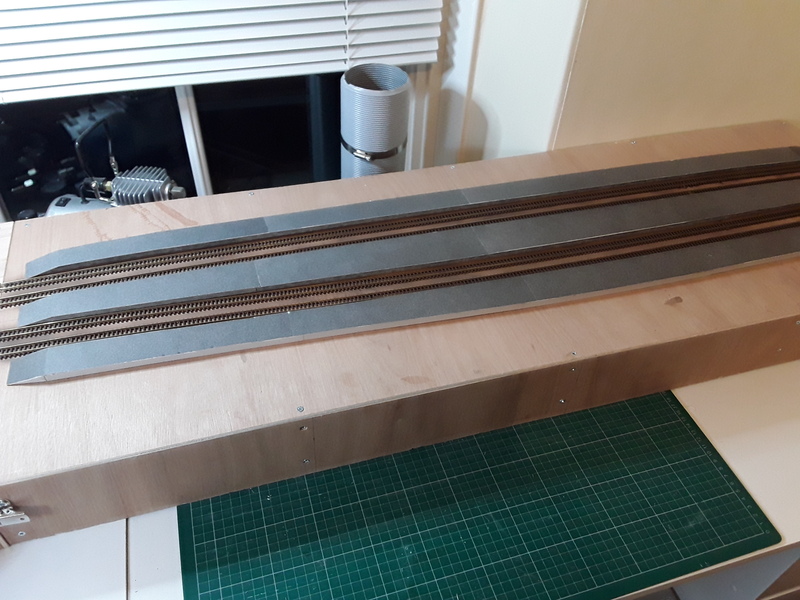 A house move earlier this year meant I now had use of a third bedroom as an office/modelling/layout room but knowing that we are likely to move again in the next 5 years or so meant I wanted the boards to be semi portable modules. The space available would be very roughly 7ft by 7ft around the walls, initially on units/desks but with the ability to be raised on legs to free up workspce under the layout as things developed. I don’t have a trackplan I’m afraid, rather am working from a plan in my head, various sections of which have been mocked up in trial runs. Simply put, the east side will have a 4 platform station and town, the north will have the 4 lines go down to 2 with a spur off to the loco shed, the west side will see the 2 lines continue with some train storage sidings (maybe hidden) and the south a spur to carriage sidings before the 2 lines split back into 4 before heading back round into the station. Thanks for reading and any feedback welcomed. Next the boards and name ideas.